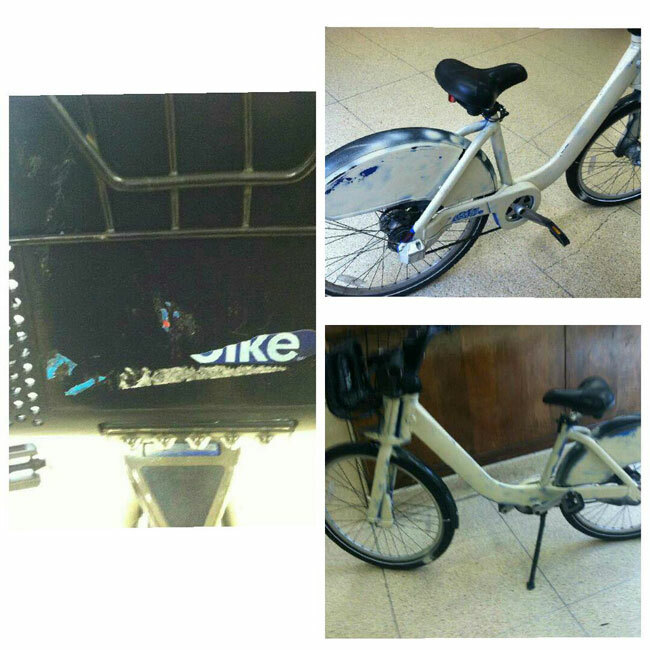 A popular photo from the NY police department twitter feed is this stolen and pitifully repainted Citibike. OK, that's funny but let's look for a metaphor here. Citibike, a branded entity that essentially greenwashes a bailed-out megabank, isn't paying for itself and is now asking for a bailout from NYC public moneys. The designer of the bike is in bankruptcy because of funds withheld by Citibike, allegedly because of software glitches in the platform. The alleged bike thief is a 68 year old man. What if, like the desperate character in the film The Bicycle Thief, he had his own bike stolen and was absolutely dependent on cycling for a livelihood, in a hardass town where banks and greenwashers get help and regular citizens are kicked into the gutter? Who is laughing now? Of course, stealing is wrong. This could also be bad performance art.